As part of our birthday celebrations we organised an online auction to try to raise urgently needed funds. We asked and received lots of items donated to the auction which was fantastic -without these very kind donations we could not have held the auction at all. Items ranged from art work to jewelry to toys and included a very exciting donation from Webbox. For those who do not know Webbox they make the world’s best cat and dog treats (that is the official opinion of our master blogger The Don and his friends) so we were overjoyed when they made the very kind offer. In fact The Don was so excited by this he wanted to be included in this blog! Interviewer: So Don can you share your thoughts on the Hope for Romanian Strays fundraising Birthday Auction? Interviewer: Erm … right. Any other thoughts you would like to share? The Don: Yes. Mum needs to make sure a higher bid gets placed on those handmade little baby booties to make sure they do not end up on my footsies. Or anyone out there *Don stares at our followers* Please? Interviewer: Right. Okay. So any final thoughts? Secondly Christmas isn’t that far away peoples! Why aren’t people using this as a great way to buy some Christmas presents now & avoid the rush in December?! It’s a double gift really – to whoever you give the item to but also to the dogs you help save. Simples! Interviewer: Great points there Don thank you so much! And really those are indeed two points that we want you to think about, in particular the first one. 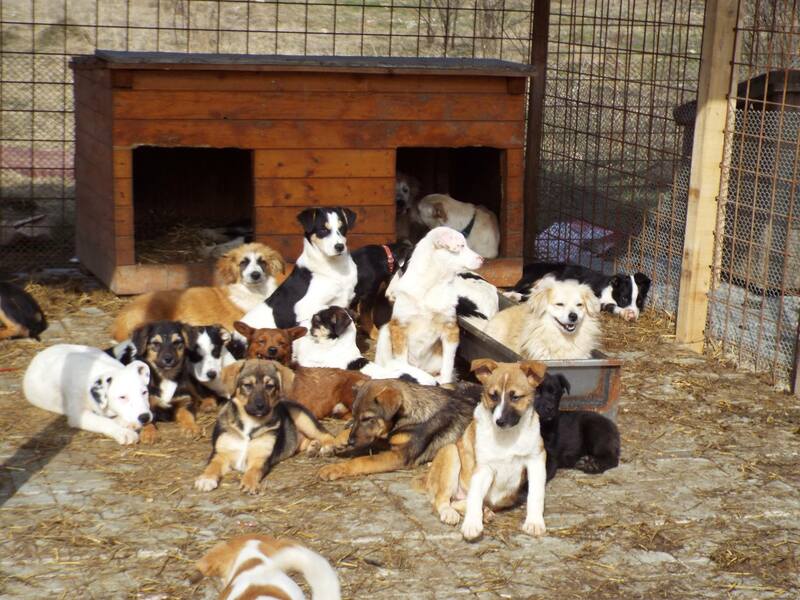 As you know the shelter we support, in Bucov, is well over capacity now, over 700 dogs over to be exact. There are not enough kennels now to provide shelter from the extreme cold and wet so many dogs face a winter outside in the open air. These dogs will die as they will also invariably be the weaker dogs who cannot fight for a kennel. The same will go for food. The shelter has for a while now not been able to provide sufficient food to feed all the dogs. 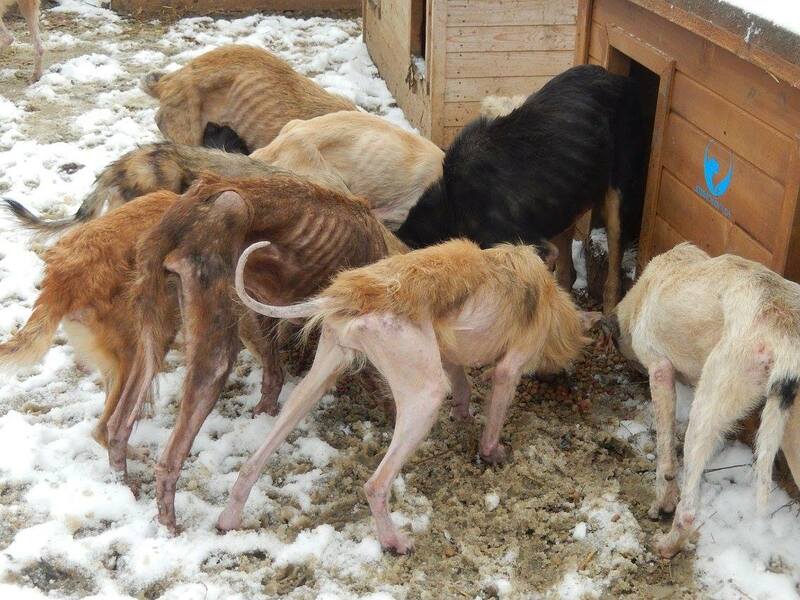 We have been helping out thanks to our supporters such as Pro-Dog Romania but with winter approaching we need to keep up feeding the dogs and if at all possible offer them more support to survive the extreme weather. As it stands we will see very many dogs die a very, very miserable death. We want to do all we can to reduce that number and save as many as we can. The money raised during the auction – either through bids or through donations made as a result of the auction PR – will go along way to help. Don’s other point though is also true! Christmas is not that far away and there are some lovely potential gifts in the auction. Why not bid for one and make a particularly special Christmas gift by also saving a dog too! You still have 1 day left to bid! As our auction draws to a close we therefore ask for you to have one last look and place one last bid. In doing so please think of those dogs that so desperately need your help. If you do not see an item you like why not bid to help a dog or a cat (one of the auction items) or simply make a donation via paypal to hopeforstrays@yahoo.com. Remember every cent goes to the animals and even a small amount can make a big difference – €10 for example pays for a puppies vaccination or a bag of food. 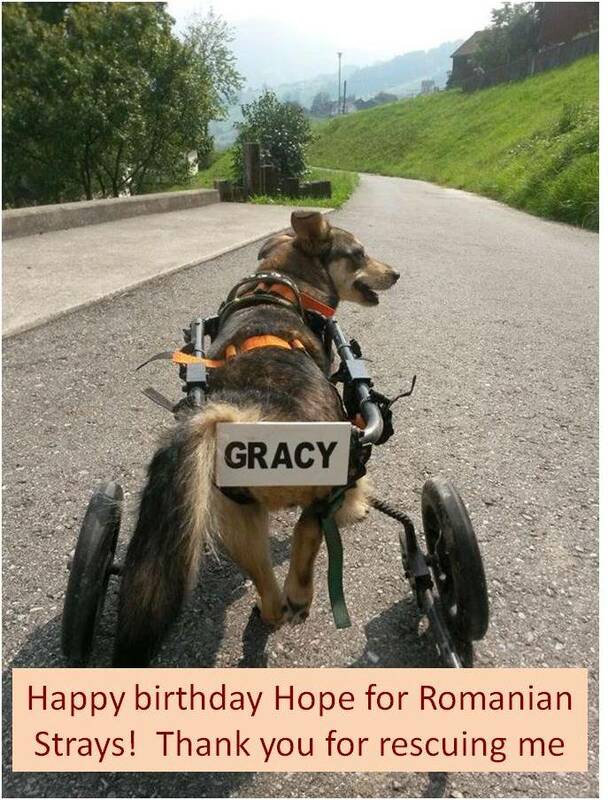 So go have a look and show your support for Hope for Romanian Strays and the work we do to bring hope to these poor, abandoned strays. Thank you. 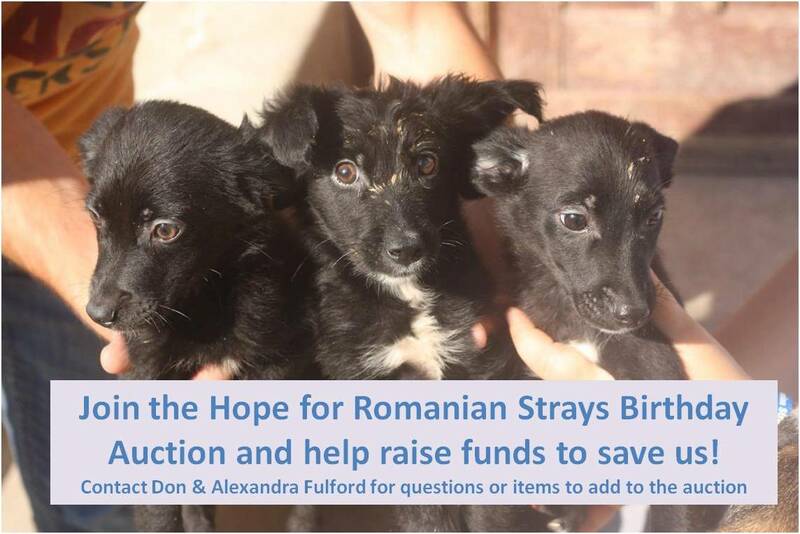 In August 2012 Aniela Ghita founded Hope for Romanian Strays. Aniela’s work in rescuing dogs begun well before this but it was in 2012 when she decided to formalise her work through an official charity. 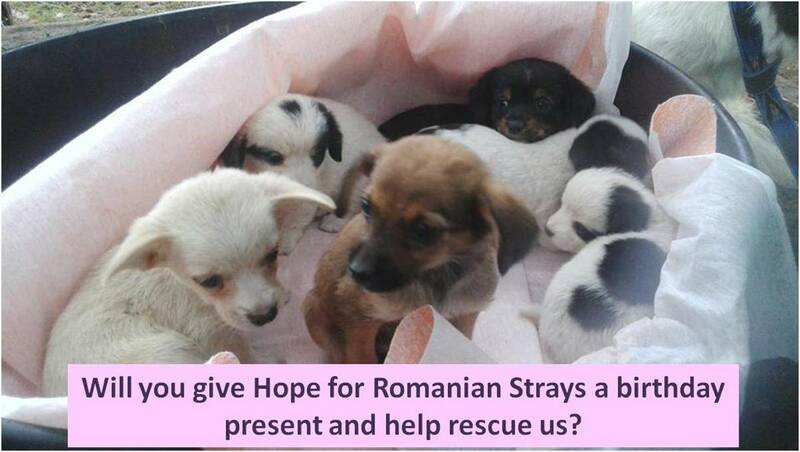 The name Hope for Romanian Strays describes the role of the charity – we want to bring hope to Romanian strays. Hope of surviving. Hope of being pain free. Hope of food. Hope of a bit of love and attention. Hope of a better life, with a loving family. Hope they would not otherwise have. Over the last three years that is what Hope for Romanian Strays has done. 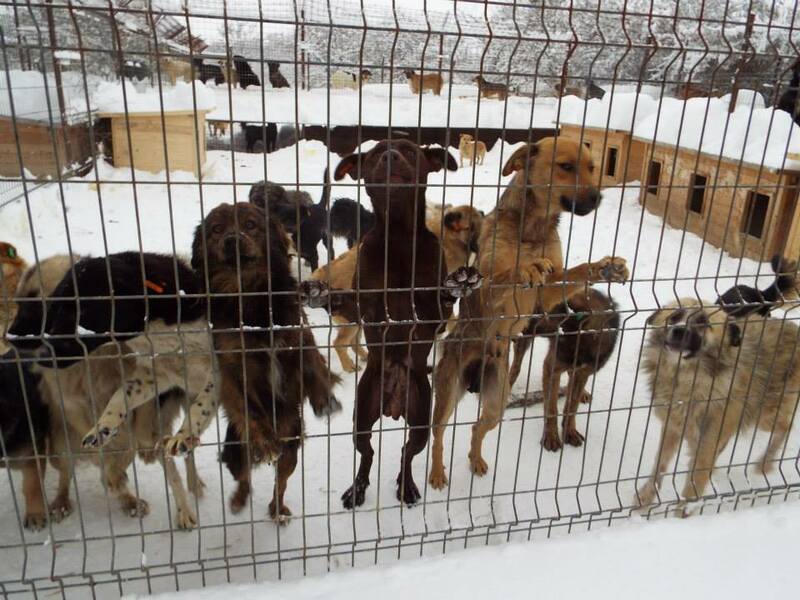 It has brought hope to hundreds of dogs in the Bucov shelter, improving their conditions through providing new kennels to keep them warm in the winter and cool in the summer. It has brought paving and straw to the shelter to keep the dogs out of the cold, cloying mud. It has brought special puppy enclosures to try to save more of the puppies, most of whom die in the shelter. It has brought extra food to the starving and weak dogs. It has brought veterinary care to those injured and sick dogs where before they would have died in pain. It has helped find homes for hundreds of dogs. Hope for Romanian Strays has done all of this thanks to the unerring dedication of Aniela and those that support the charity. Thanks to funds donated by our supporters we have accomplished so much. Three years ago when the charity was founded we would have never dreamed we could have helped so many dogs. 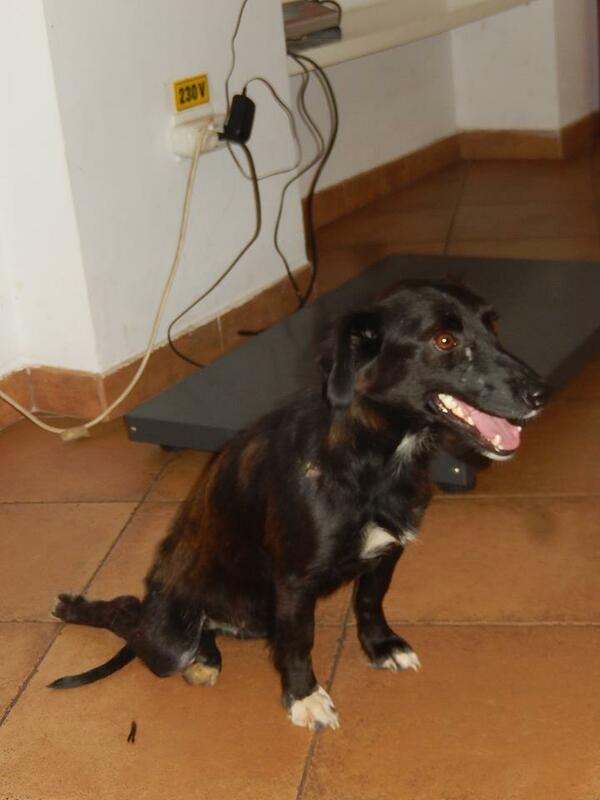 We would never have imagined we could find homes for so many Romanian strays. We could only have prayed for having the funds to rescue so many injured, sick and frail dogs (and cats). Thanks to you our supporters we did it. But there is still so very much more that we need to do. Three years ago there were around 700 dogs in the Bucov shelter, now there are over 1400 but the capacity and funds have hardly changed. Without our continuous support the conditions in the shelter would be even more terrible. We work daily with the shelter to bring support to the strays confined within its walls. Whilst we have built our puppy enclosures we are continuously inundated with more puppies, and kittens, that desperately need help. Every journey to the vet requires funds, for the animals we take as well as the injured ones we find en route. We cannot stand by and let a dog die in pain by the road but we often do not have the funds to help him so we have to work on debt. We need more funds for our daily operations but we also need more funds to make our dream of building a safe place for the sick, the weak and the frail dogs that need special care to survive, care they cannot receive in the shelter. I am probably starting to sound like a broken record but sadly things just do not change in Romania. We are yet again overwhelmed – but not just with puppies but also kittens and cats. Just as puppies get dumped at the shelter so do kittens. This is particularly bad for the kittens as the shelter is surrounded by stray dogs and their chances of getting attacked, injured and killed are very high. Fortunately we generally manage to get to them in time. 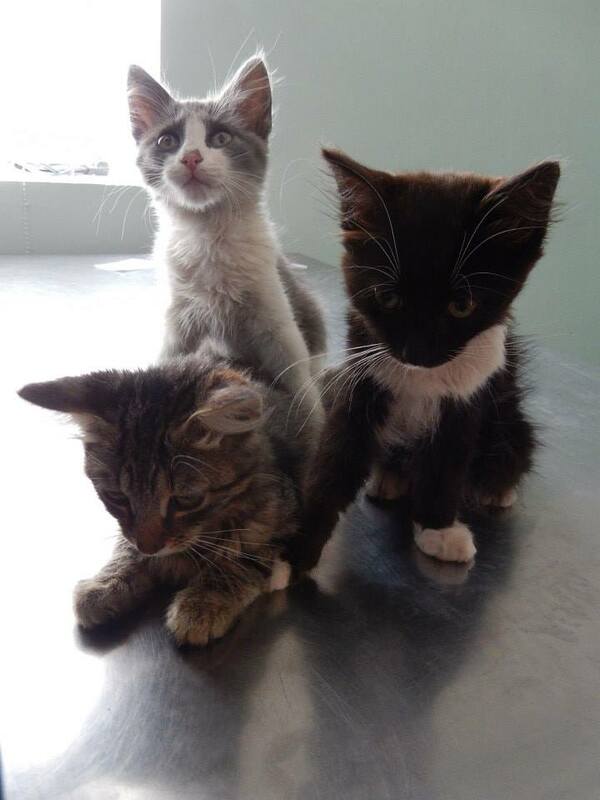 We also rescue kittens we find on the streets or are asked for help from our vet or people in the area.